Being a New Yorker, most of the dogs I know live very happily with their owners in apartments — walking around the city I see everything from the tiniest Chihuahua to giants like Irish Wolfhounds and Great Pyrenees! Until I bought a house for my dogs and moved to the outer part of Brooklyn, my own large Shepherd mix lived very comfortably in my apartment. 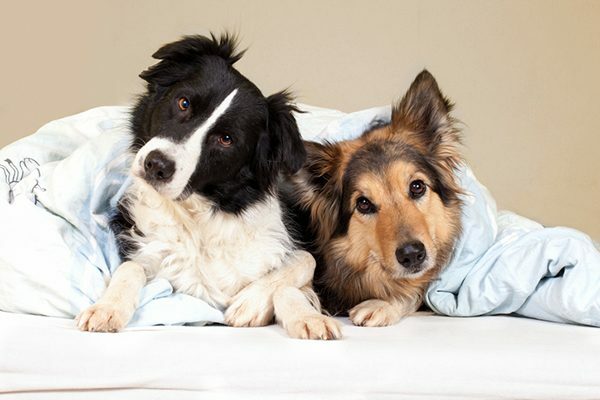 When it comes to apartment dogs, consider these factors instead of size. Finding the best apartment dog actually has very little to do with size. Photography by manugo/Thinkstock. Not all dogs are cut out for apartment life, but that’s more about the individual dog’s temperament than his size. There are tiny dogs that bark a lot or need a lot of exercise, and there are big dogs that are happy to sit quietly on the couch. If you’re thinking of adding a big dog to your apartment-dwelling family, consider the energy level of the dog, the age of the dog and the dog’s predisposition to barking, as well as things like friendliness to strangers since you’ll be living in close proximity to other people. It’s about quality not quantity of exercise. There are lots of dogs who live in huge homes in the suburbs whose families leave them alone for long days and spend very limited time with them. These dogs have a poorer quality of life than dogs — even large dogs — who live in small apartments but have attentive owners. I’ve found that living in an apartment with dogs usually makes for better dog guardians. Not only are you living in close quarters, but you have to be intentional about the time you spend together. For apartment dogs, going potty involves actually going on a walk together, instead of just opening a sliding door into the backyard. Access to parks, dog runs, training classes and daycare (depending on your dog’s temperament) are all great ways to support your dog in blowing off excess energy outside of your apartment. My large dog is no more physically active now that she has a house than she was while she was living in an apartment — only the type of exercise has changed. Since we no longer have to go for walks every day, I have to be much more intentional with keeping up with her training and socialization. It’s not fair, but it does benefit big dog owners to go above and beyond to be neighborly in apartment buildings. Don’t let your dog bark for long periods of time, don’t let your dog potty in common areas of the building and always clean up after your dog. Many people have the misconception that large dogs are dangerous or more destructive than small dogs. People who don’t like dogs, or are afraid of them, may be uncomfortable with even the best-behaved canine neighbors, especially a large dog who might seem more physically intimidating. When living in apartment buildings, I was attentive to my neighbors’ comfort levels, learning which neighbors were uncomfortable with dogs, and being sure to keep my dogs on short leashes in the building hallways. I also found that teaching cute tricks can go a long way to break the ice with neighbors who aren’t thrilled to share an elevator with a big dog — “high five” was a favorite of mine. Make sure your apartment allows big dogs. Check your apartment building’s weight restrictions before adopting a dog. Photography by Wavebreakmedia Ltd/Thinkstock. Be sure that your apartment building is friendly to dogs of all sizes before bringing a big pup home. Many dog-friendly apartment buildings have weight restrictions, which limit the types of dogs you can welcome into your family. These regulations unfortunately mean that many great low-energy dogs get unfairly banned from certain buildings because of their weight. My last apartment building was very dog friendly when we moved in but implemented new dog restrictions after we had lived there for several years. The new rules included that dogs couldn’t use elevators with other residents, and management suggested that all dogs over 50 pounds be muzzled in public areas of the building. These rules were a key factor in my decision to move. Get — and stay — organized. A big dog means lots of larger-sized stuff — dog beds, crates, toys, bowls and more! You don’t have to be a minimalist, but it helps to be organized. Keep the big-dog clutter down by rotating your dog’s toys in and out of storage in closets. Your dog will be excited about the “new” toys, and you won’t be tripping over squeaky balls in the middle of the night. I even stored holiday-specific toys for Halloween, Christmas and Easter with my decorations. Invest in visually-pleasing beds and crates since your dog’s furniture will be a focal point in a small apartment. Know your lifestyle before welcoming a dog into your family. It’s important to be self-reflective about your lifestyle before you bring a dog into your life — no matter how big your living space. Do you like to meet up with friends after work for drinks? Are you someone who spends all weekend binge watching the latest TV show, or do you like to be out and about exploring farmers markets? Pick a dog with an energy level that matches your lifestyle. All dogs require training, attention and mental and physical exercise. If you aren’t home a lot, have room in your budget for doggie daycare or dog walkers — or consider if now is the right time to add a dog into your life. Living in an apartment isn’t right for every large dog, but many big dogs are very happy in little apartments. It’s all about making sure you find the right dog, and having the time to devote to creating an enriching life inside and outside of the apartment! 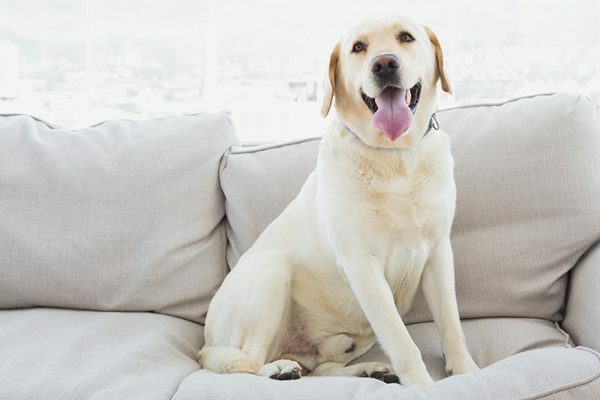 The post Yes, Big Dogs Can Make the Best Apartment Dogs — Here’s How appeared first on Dogster.